Duke’s Bistro has just opened at the DOG Hotel. Randwick, your local pub just received an upgrade that I don’t think any of you will find disappointing. Duke’s Bistro has just launched on the upper level of the DOG hotel. Owner, John Azar, who also owns sister venues Dove & Olive and Keg & Brew in Surry Hills, implements this same casual American themed dining experience, but with a French twist. Whilst executive Chef, Dwayne Baber infuses this French-American ambience into his food, finding the perfect balance between restaurant-quality and bistro-warmth. Duke’s Bistro has definitely maintained the friendly, Art Deco origins of the pub, combined with a modern twist to a bistro atmosphere. 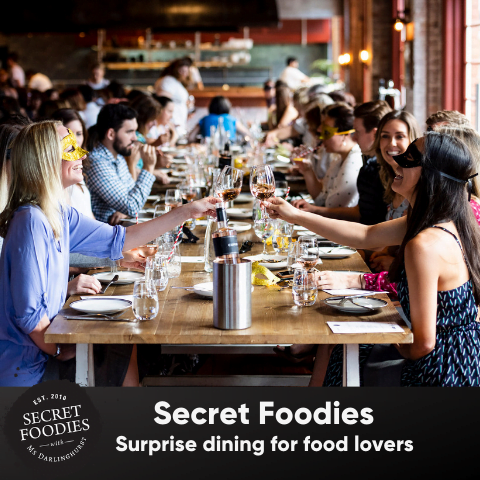 It seats 170, though the space has been split to accommodate small cozy corners, intimate dining for two, large communal dining tables, high bar tables and a balcony that stretches around the length of the building. The space really embodies the local culture by accommodating a range of visitors, and can even be hired for a function of up to 200 people. The open kitchen encourages the delicious scents of slow cooked meats to wander through to the dining area. Guests are invited to peak through the kitchen where the rotisserie slowly cooks the meat before your eyes. The menu is designed for sharing with platters and different banquet options to allow diners to get a taste of everything. 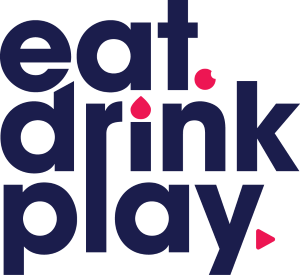 The Duke’s menu also welcomes small groups or couples with smaller bistro-style plates available. On this occasion we try the Duke’s Bistro $65 set menu including 6 smaller share platters, 3 larger share meals from the rotisserie and dessert. 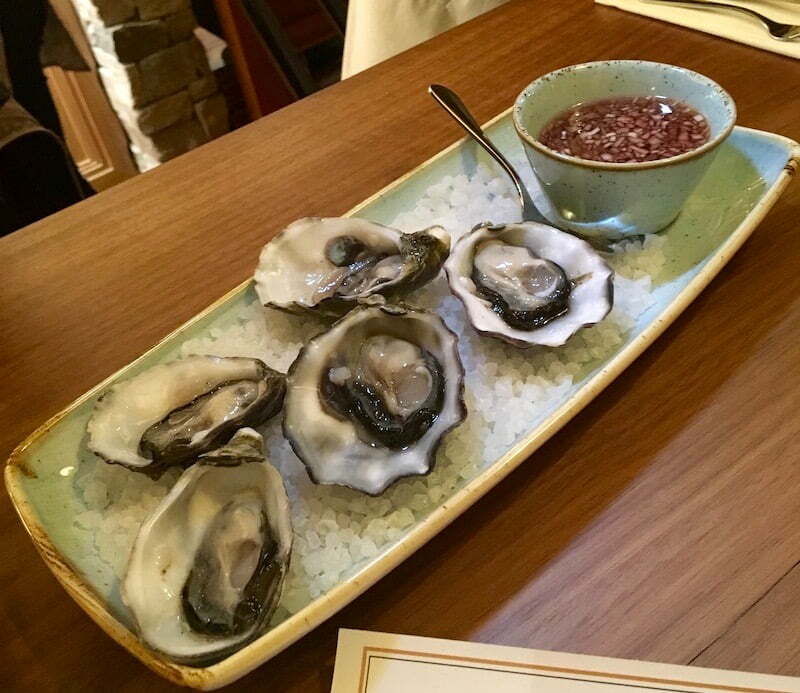 We start with natural pacific oysters that are perfectly complimented by a tangy mignonette. The seafood in general at Duke’s Bistro is excellent. 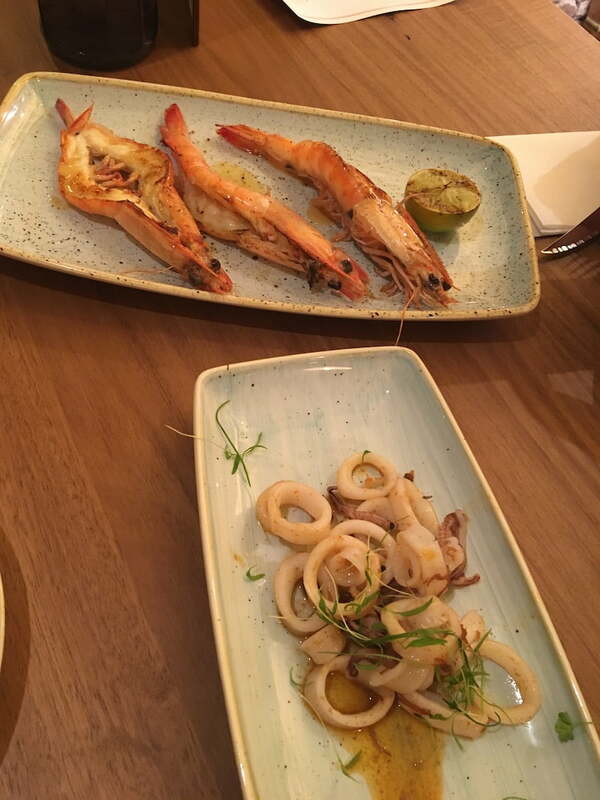 Pan-fried squid with chilli and Cognac dressing and grilled prawns with Cognac beurre blanc sauce are presented next. The prawns are a definitely stand out, cleanly peeled off the shell so no meat is lost, they are tasty enough to override any conversation currently taking place at the table. We’re then given escargot beurre persillé vol au vents. They’re soft, smooth, crispy and flakey. If you’re not one for snails, you probably won’t even realise you’re eating them as the flavours are so light and refresh your palate for the next dish. 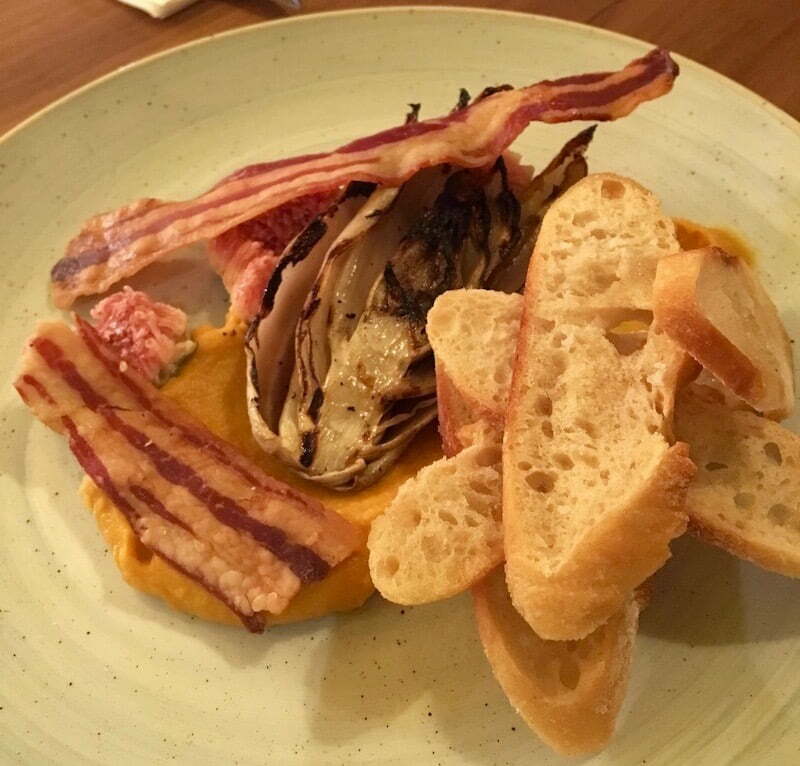 At first it’s hard to know where to start with the smoked pumpkin tartine with crispy pancetta, charred witlof, fresh fig and sourdough crisps. Grab a crisp and start layering each ingredient on top of one another and bite. The combination of the smokey pumpkin, bitter witlof and crisp is delicious and a nice combination of sweet and salty. 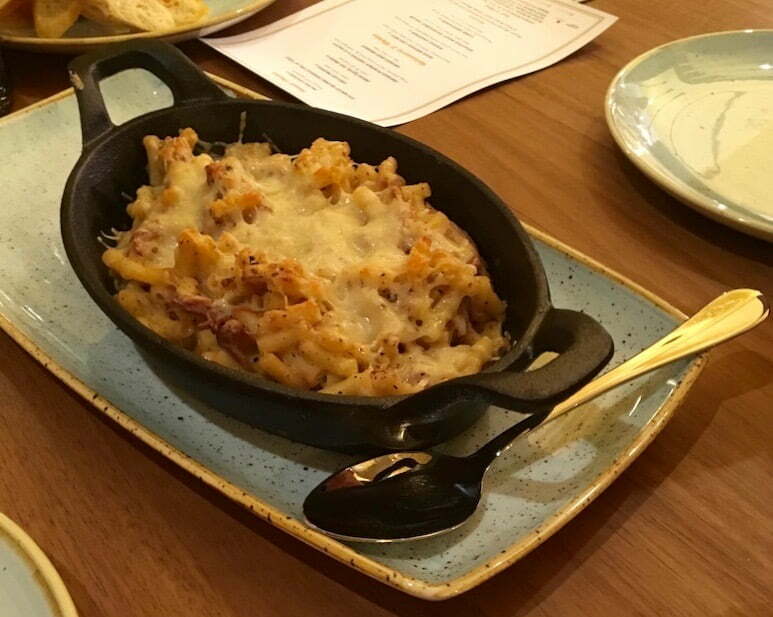 Our last starter in the banquet is the smoked beef brisket in a Mac ‘n’ Cheese bake. Breaking into the crispy upper layer and scooping a mixture of delicious beef, string cheese and smooth macaroni is a great way to conclude the small platters and introduce the main meals. 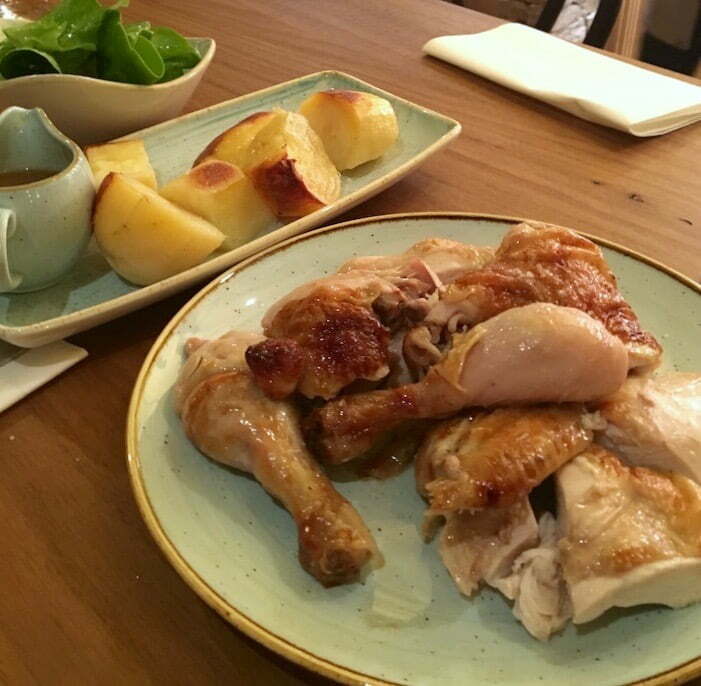 The beer-brined chicken is roasted to golden perfection on the rotisserie for hours, whilst the roast potatoes are left to brew in chicken jus giving them plenty of flavour. 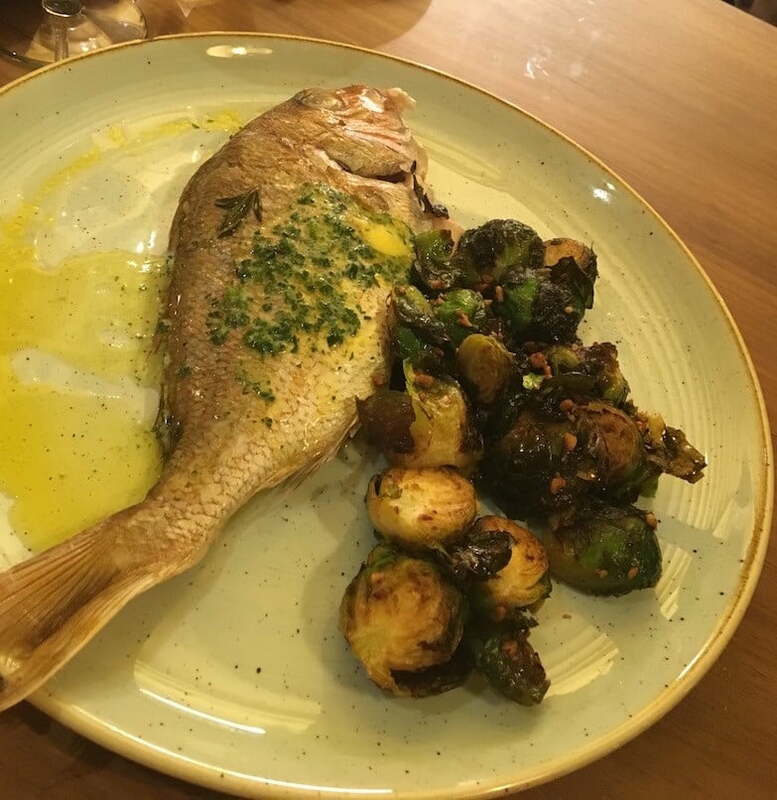 The ‘fish of the day’ on this occasion is the whole snapper, which is deliciously soft and full of flavour and comes with a side of brussel sprouts. Both the snapper and the brussel sprouts are fried in lemon butter and topped with a walnut pangrattato. Our final main meal off the rotisserie is melt-off-the-bone lamb shoulder complimented with thick dark gravy. The waitress’ recommendation to pair the lamb with a glass of red wine completed the experience and made this dish one of the highlights. The wine list, created by Louella Mathews, formerly of Rockpool is quite extensive. Louella and the team at Duke’s Bistro all have great knowledge when it comes to wine and are generous with their recommendations. 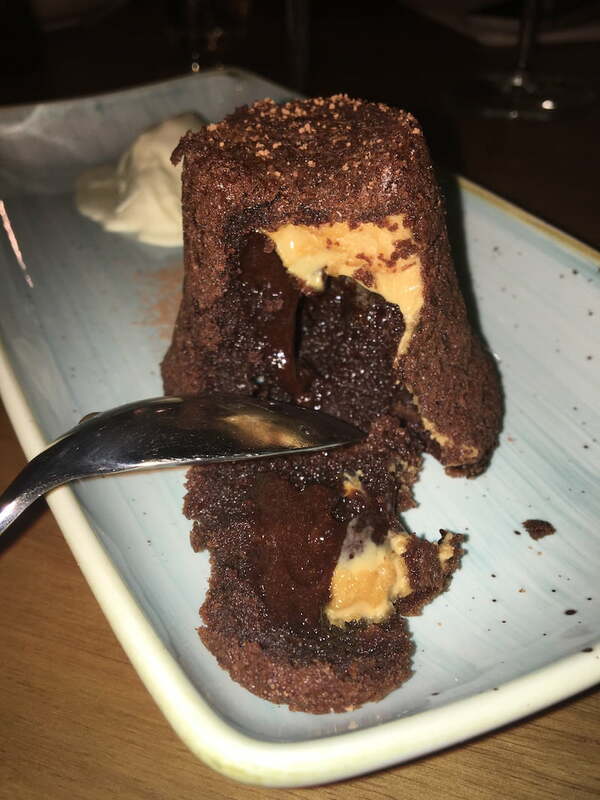 For dessert we try the peanut butter chocolate fondant which seems weightless on the outside, but once broken oozes with a sweet chocolate ganache and thick peanut butter. The two compliment each other perfectly and, once sided with a fresh pure cream, fused 3 different flavours into a perfect fondant. 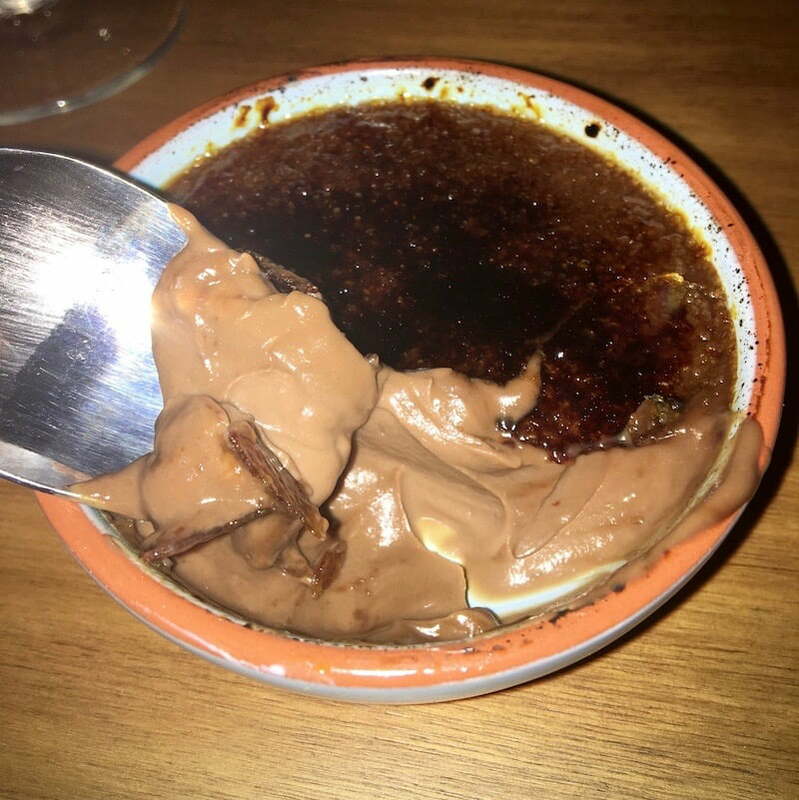 Never shying away from double dessert action we try the 4 pines nitro stout crème brulee. The glazed upper layer cracks with a satisfying crunch to unveil smooth chocolate fused with 4 pines beer. This tames the sweet chocolate flavour and adds its own bitter element. Truly bitter-sweet. Duke’s Bistro successfully combines an American-bistro style experience, with French dining quality and service. We’re loving the relaxed feel of this restaurant within a pub especially considering the wide scope of guests Duke’s Bistro and The DOG Hotel are likely to attract.